“Full Spectrum Dominance” is a U.S. military/economic term for control of air, land, sea, and space, including navigation and communications –the internet too! 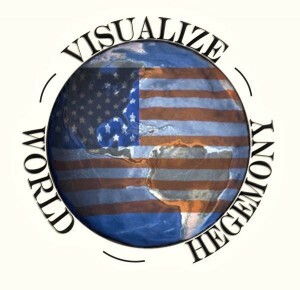 It’s all part of world hegemony — the U.S. Global Empire! Americans will not learn about this from their mass media, which is more subservient than it has ever been to the National Security State. The mass media is corporate owned and helps sell out ordinary people in this global strategy for the benefit of corporate profits and wealthy investors. U.S. courts have ruled that corporations are people and money is speech. Government is now bought by corporate money. Most Americans would be much better off if we broke up the big banks, got corporate money out of politics, closed the thousand U.S. overseas bases and shut down all of the wars immediately, but you will never hear that from the American mass media. Nov. 28 –Hawaii Independence Day! In the Kingdom of Hawai’i, November 28 was an official holiday called La Ku’oko’a, or Independence Day. This was the day in 1843 when England and France formally recognized Hawai’i’s independence. Faced with the problem of foreign encroachment of Hawaiian territory, His Majesty King Kamehameha III deemed it prudent and necessary to dispatch a Hawaiian delegation to the United States and then to Europe, with the power to negotiate treaties and to ultimately secure the recognition of Hawaiian Independence by the major powers of the world. In accordance with this view, Timoteo Ha’alilio, William Richards and Sir George Simpson were commissioned as joint Ministers Plenipotentiary on April 8, 1842. Sir George Simpson, shortly thereafter, left for England, via Alaska and Siberia, while Mr. Ha’alilio and Mr. Richards departed for the United States, via Mexico and the United States, on July 8, 1842. On November 28, 1843, at the Court of London, the British and French Governments entered into a formal agreement of the recognition of Hawaiian independence, with what is called the Anglo-Franco Proclamation. “Her Majesty the Queen of the United Kingdom of Great Britain and Ireland, and His Majesty the King of the French, taking into consideration the existence in the Sandwich Islands (Hawaiian Islands) of a government capable of providing for the regularity of its relations with foreign nations, have thought it right to engage, reciprocally, to consider the Sandwich Islands as an Independent State, and never to take possession, neither directly or under the title of Protectorate, or under any other form, of any part of the territory of which they are composed. The undersigned, Her Majesty’s Principal Secretary of State of Foreign Affairs, and the Ambassador Extraordinary of His Majesty the King of the French, at the Court of London, being furnished with the necessary powers, hereby declare, in consequence, that their said Majesties take reciprocally that engagement. In witness whereof the undersigned have signed the present declaration, and have affixed thereto the seal of their arms. Done in duplicate at London, the 28th day of November, in the year of our Lord, 1843. 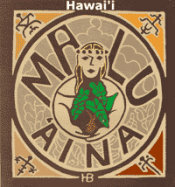 Fifty years later, in 1893, an illegal intervention by the U.S. military resulted in a “fake revolution” against the legitimate Hawaiian government, and a puppet oligarchy set itself up with its main purpose of annexing Hawai’i to the United States. After a failed armed attempt by Hawaiians to retake their Kingdom in 1895, the usurpers announced that La Ku’oko’a would no longer be celebrated, and the American holiday Thanksgiving Day would be the official national holiday instead. Removing a holiday like Hawai’i Independence Day was a way to cover up and try to destroy the history and identity of the Hawaiian Kingdom and its people. At first Hawaiians protested and celebrated La Ku’oko’a anyway, telling the story of the national heroes who had travelled to Europe to secure Hawaii’s recognition. But over time, this history — knowledge of the holiday and how it was replaced — faded and was almost lost, until recently, when Hawaiian language scholars started translating Hawaiian language newspapers and rediscovered the story. Today’s celebration of La Ku’oko’a asserts that Hawai’i is still an independent nation, even under prolonged illegal occupation. Ha’alilio converted to Christianity as a young man, and re­mained a devout follower of Iesu Kristo all his life. Proficient in Hawaiian and English, he served as private secretary of King Kamehameha III, and as a member of the treasury board. As the minister plenipotentiary of the Hawaiian King­dom, he led the diplomatic team that successfully secured formal recognition of the independence of the Hawaiian Kingdom. Timoteo Ha’alilio passed away of tuberculosis on December 3, 1844 on the way back to the Hawaiian Islands. FYI  Why have no county or state elected officials even attended the public hearings on military expansion plans at PTA? Please read the comments below of Hawaii resident, Dr. Mike Reimer, PhD. Retired geologist. His comments on DU at PTA are particularly note worthy. The DOH should be involved in this process, speaking out for citizen health and safety. Please end your silence. Support the call for comprehensive, independent testing and monitoring at PTA, with citizen oversight, to determine the full extent of DU contamination there. The testing and monitoring should be paid with federal dollars since its federally caused contamination. The military has admitted to DU Davy Crockett spotting rounds being used at Schofield and PTA (and likely Makua as well) only after citizen peace groups exposed the facts. It is possible, even likely, that other DU contamination exists from a wide variety of military DU munitions and DU used as ballast in military activities. Hawaii citizens deserve DOH involvement in this issue on behalf of citizen health and safety. To date DOH involvement has been terribly lacking. Please change this. to PTAPEIS@bah.com. by November 30, 2011.
needed, please contact me and I will provide that additional information. radius of the detonation site. carry or reflect the noise larger distances. discovered at Schofield Barracks and PTA. radiation is 40 percent less than natural uranium section 3.12.2  (p.3-127). That statement is true only at the time of fabrication of the material from DU. suggest credibility is not enhanced by spinning actual facts. is looking, it is likely to be somewhere else. vehicles (see DOE Handbook, 1994). expansion and modernization areas of PTA (range 10). See Figure 3.6.1, p. 3-43.
concentration of the radioactive aerosols (Shinn, 2003). that it is not there and can begin to search elsewhere. proper monitoring is in place. fact, this was the NRC conclusion about the Army’s air monitoring plan. “We have concluded that the Plan will provide inconclusive results for the U.S.
soil will attenuate the radiation being released. initiate and perform the collection and analysis. Reimer, G. M. et al, 2005, Indoor radon risk potential of Hawaii, J. Rad. Nuc. There will be a peace organizing meeting on Monday, Nov. 28th 7-9PM at the Keaau Community Center. We skipped the last meeting because of the “Occupy Hilo” General Assembly. 2. Possible legal action on the DU contamination at PTA. Discussion of possible key legal points. 3. Support for “Occupy Hilo” movement. How we can help.